A photo booth is the perfect way to give your guests a memory that can literally last forever! JukeBooth LLC has been proving just that with a whopping 21 bookings between January and February. The photo booth company is located in the New Jersey area and will travel up to 100 miles for any party. JukeBooth has an amazing assortment of props along with photo booth, photographer, and videographer packages to make every party unique and fun. We caught up with the owner of JukeBooth, Jeffery Dixon, to find out more about his success. Tell us about yourself! How did you start JukeBooth? I have been a DJ since 1989 and have seen the photo booth evolve into an additional service in the entertainment industry. I decided to create JukeBooth last year in 2018 and to become the BEST Photo Booth and DJ service in NJ by offering both services at one reasonable price. 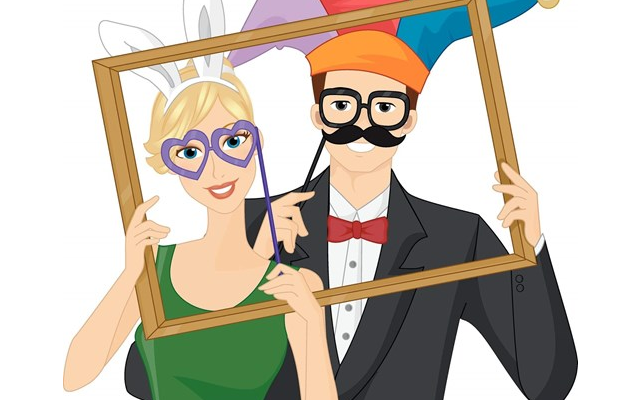 What do you love about owning a photo booth business? I love when my clients are AMAZED by how I operate my photo booth. I give plenty of time between each photo to allow each person to pick something totally different from my insanely large photo booth studio of props and accessories to match each character. I am the LARGEST studio around. What has been your favorite event this year? I can't pick just one event as a favorite. Each event that I do is my favorite. New people every time that just have fun with all my props and accessories. What makes you stand out from other photo booths? I am the largest studio with up to 3 tables of props and accessories with an operator inside the booth every step of the way. Your photographer makes sure you are ready for the shot and instructs you that you have plenty of time to get something different. Between photos it’s a full-time job to put props where they belong for the next photo. Customer service is part of JukeBooth and is what separates us from the rest. What has been your most requested theme or prop? It is so hard to pick out a favorite. People come back many times after waiting in line for another session looking to try something different. They tell me it’s like walking into Party City because of the large assortment of props that I have in many different colors. What is your #1 tip for being successful with clients? Giving great customer service to everyone that enters your booth by making their experience special. "I had booked Jeff's photo booth service for my son's one year old Mickey Mouse themed birthday party. Within minutes that I had booked his service, he had ordered Disney props specific to my theme and made a customized Mickey background that would be on the printouts of the pictures for all of my guests in which they got to take home. The prices are very reasonable for the services provided. Guests of ALL ages LOVED the photo booth and they are still talking about it! He provided me all of the pictures on a flash drive. He has an extremely large variety of props in addition to the Mickey props.If you are thinking of booking a photo booth don't hesitate to contact Jeff!"